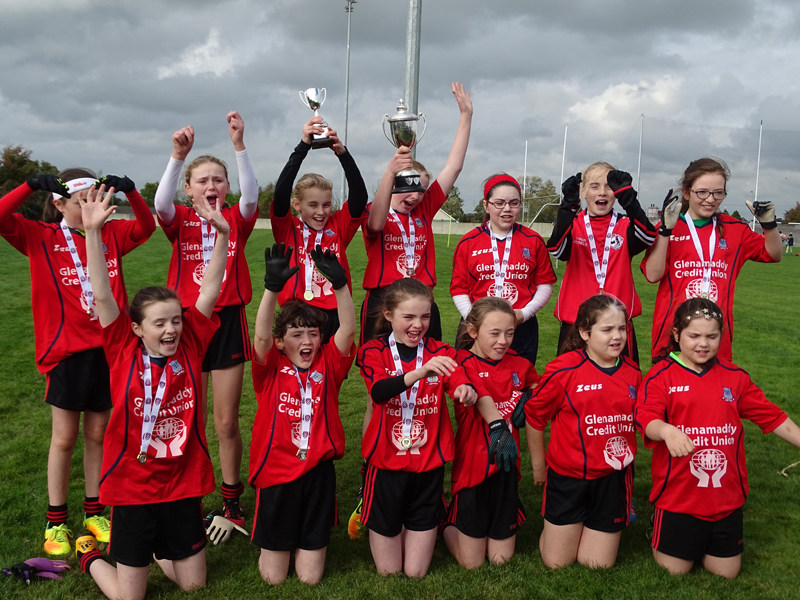 Well Done to the cailíní who became Cumann na mBunscol champions today. They made history as they were the first girls team to reach the finals in Lough George before winning the competition outright! They beat a total of ten teams along the way, including Corundulla and Woodford in the finals! A special thanks to all our supporters and especially to Mr. Shevlin and Stephen Neary who coached the team to victory!